There are those ‘fearless’ Yasuo users that come up to top lane time to time. In an early game, E+Q(Grasp of the Undying)+basic attack will cut down a lot of Yasuo’s HP. Also, if Yasuo is my matchup, I usually build Ninja Tabi+Tiamet. You can remove Yasuo’s passive using Tiamet active skill, which makes an easy fight for Shen. If Dash is in cooldown, use basic attack + Q + basic attack and remove his passive. A common matchup than before because of Summon Rey. -> win rate dramatically decreases in late games. 2. escape tool, CC, dash is combined into one skill. If E is on cooldown, Shen is highly prone for ganks. Primary Paths that are useful for Shen are only Resolve and Precision, so I’m only going to elaborate on those two. When choosing runes, consider the opponent champion pools, especially the top lane champ as well as your team’s champion pools. : It has heal, basic attack boost and additional HP stats. A 5 tool rune. : Grants armor boost and can give burst damage to the enemy. Use if it’s hard to trigger Grasp of the Undying. Guardian(★) : Please...You’re playing top. Font of Life(★★★★) : This champ specializes in roams, so it comes in handy. Demolish(★★★★) : Shen is a split push champ. Bone Plating(★★★★★) : If the opponent champion has burst damage, this rune is very efficient for Shen. Not useful against long-range champs. Conditioning(★★★) : The 8+5% armor, magic resistance is useful. Second Wind(★★★) : Highly efficient against long-range, short cooldown champs. Chrysalis(★★★) : 60 bonus HP in an early game comes in handy. It’s efficient because Shen is more involved in kills and assists after hitting level 6. I’ll add more after I do some more research. Overgrowth(★★★) : It is an okay rune but since Shen is a roaming champion, he eventually gains lower CS compared to other tank champs. Revitalize(★★★) : Efficient with Shen’s ult. Unflinching(★★★) : Decent rune when there are a lot of enemy CC skills. Press the Attack(★★★★★) : A rune that has additional damage and can surprise the opponent with burst damage in lane phase. Goes well with a roaming champ like Shen. Lethal Tempo(★) : Shen doesn’t need this amount of attack speed. Fleet Footwork(★) : Only useful for basic attack based ADCs. Overheal(★) : What? Do you really think you need life steal shield? Triumph(★★★★★) : Additional gold plus health restore. A very useful rune. Alacrity(★★★★) : If you want additional attack speed it’s okay to go. Tenacity(★★★★★) : CC resistance! Useful. Bloodline(★) : Life steal? Really...? Coup de Grace(★★★★) : The best one in Combat. Cut Down(★) : Dont’t forget. Shen is a tanker. Last Stand(★★) : Only useful on early game. Nothing more. Shen is a tanker so you don’t need it. Cheap Shot(★★★★) : Best in Malice. Enhances Shen’s burst damage. Taste of Blood(★★) : If you’re using you don’t really need it. But, if you’re using , Taste of Blood helps lane control/sustain. Sudden Impact(★★★) : is better. If you use a lot, it might come in handy. 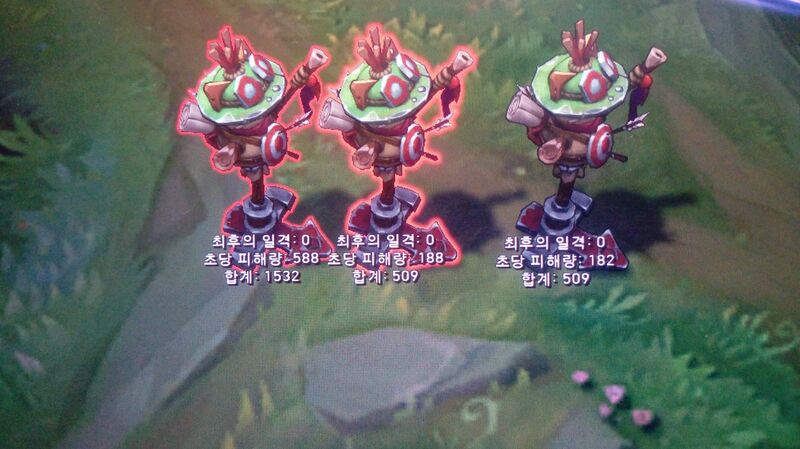 Zombie Ward(★★★★★) : Very efficient for preventing enemy ganks. Ghost Poro(★★★★★) : Good when you use more than . Eyeball Collection(★) : Not good. Vision is more important than additional attack or ability power. Ingenious Hunter(★★) : If your building , it might come in handy… Nah, just don’t use this rune. Relentless Hunter(★★★★) : Better than the rest. Efficient because Shen roams a lot. Nullifying Orb(★★★) : Goes well when going against AP long-range champs like , . Manaflow Band(★) : What? Mana? Not even sure whether it recovers Energy. The Ultimate Hat(★★★★★) : Goes well with Shen; he has very long ult cooldown. Transcendence(★★★★) : A good rune for the skill-based Shen. Celerity(★) : Additional movement speed isn’t that bad. Still, go with . Absolute Focus(★★) : ‘while above 70% of your max health’ isn’t an important factor for Shen. Of course, Shen isn’t a damage dealer in teamfights either. Scorch(★★★) : Can gain lane advantage. Waterwalking(★★) : A good rune for roaming champs. However, Shen doesn’t roam on foot. Gathering Storm(★) : A weak late game champ like Shen doesn’t really need this rune. Hextech Flashtraption(★) : I don’t prefer this rune. You can’t use Dash+Hextech Flashtraption. Biscuit Delivery( ★★★★) : Good way to withstand early game pressure. Perfect Timing(★★★) : Ingredient for . Also, can make variables. Magical Footwear(★★★) : Shen doesn’t need boots before 10min so it goes in handy. Future’s Market(★★★★) : Good use when you lack gold. Minion Dematerializer(★★★★) : Increased damage to minions enhances Shen’s split push ability. Also helpful when you have a difficult time farming CS. Cosmic Insight(★★★★) : Useful because it reduces cooldown. Approach Velocity(★★★) : Efficient in chase downs. However, you have to hit Q and the enemy has to be on its back. Potion(★) : Why use this rune? 509 509 1532(the third basic attack after using Q) when using Grasp of the Undying. Aftershock is a better damage deal rune. However, I go with Grasp of the Undying because it has health heal, and additional health stats. 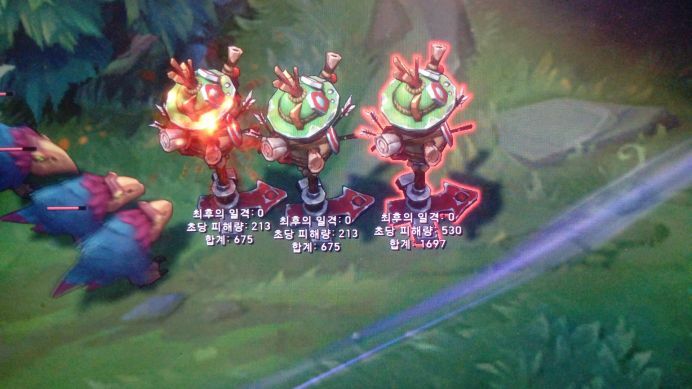 : Better for Shen Support. : For Support; Shen Support must protect the ADC. : Only use it when you go jungle. : Do you want to be a ninja? , , , : Nope. If your matchup is aggresive in lane and has the dominance, try maxing first. Use E+Flash when you want to catch just one enemy off guard. Use Flash+E with your team’s CC combination. Also, use it if E is out of range and you want to hit as many opponents as possible. People don't know that Shen’s is triggered after his skill cast ends. triggered when the blade, after using , comes back to Shen. triggered after duration is over. triggered after the dash reaches its end range. triggered when Shen moves to your teammate after using . Choose items based on different game situations. (★★): A starting item when your matchup has strong AD. (★★): Efficient in team fights, a good armor/magic resistance item. (★★): Build when your tanky enough. (★★): Build when your matchup is Illaoi, Darius, Fiora. (★★★): Build if you need a better tank item than . After you complete the in late game, sell the and go for another item. (★★): If you still need more AP resistance, it’s a good choice to go after the . If there is a healer on your team, you definitely should build this item. (★★): Has more HP than . Build it when you don’t really need a . (★★): Build if the opponent has critical damage items. (★★★): Highly important for wave clear. (★★★): If you don’t have enough gold to complete , go for the first, after you build or or . (★): You don’t need the additional 50% base attack damage. Also it’s expensive. There are much better tank items, so why build the Steraks’ Gage? (★★): Build if the opponent side lacks escape tools. (★★★): If there are a lot of AD dealers on the opponent side or if your top matchup is an AD champ. (★): If you just want to have some fun. (★): Not bad to have some mobility, but Shen doesn’t roam on foot. (★★): If there are a lot of enemy CC skills. (★★): If you have a rather easy lane matchup or if you think you are tanky enough. (★★★): Build if the enemy top laner is an AP champ. Or if there are a lot of AP dealers on the opponent side. Your rune choice(see 'runes' ) makes you weak in early game so try to endure lane phase pressure. If your ult, Teleport is ready in a mid/late game, try split pushing sides. If your ult and Teleport is both on cooldown, join your teammates. : One of the easiest top matchups. Block with . make better use of . use so call for ganks. in order to get the advantage. him suffer before team fights. : Endure his early lane pressure. Shen can do so much more compare to Darius in late games. : I personally have a hard time against Riven. + +basic attack+ feels like hell. When she engages using , strike back with . using which makes a pretty easy gank situation. aware of his . Try to evade and use to the enemy dealers in a teamfight. : Block with . You barely meet him in top these days. easily win this matchup. However, if you can’t dodge , things will go differently. ‘M.I.A’ when Sion is out of sight. He’ll roam around using . cancel by using so be careful. and cancel it by using . : Blocking + basic attack with your is the key factor. : Block + third stack basic attack and with your . support skill, so be careful. your . He makes a difficult matchup. damage in early games, but once he hits level 6, it’s impossible to win because of Olaf’s . : Block by using and be careful not to be caged in . , strike back with and trade some damage. : Block with . Evade as much as possible by positioning behind minions. When you call for a gank after level 6, be careful of her . Remove her tentacles while lane phase.